M92 in the constellation Hercules is a magnificent globular cluster lying about 26,700 light years from Earth. 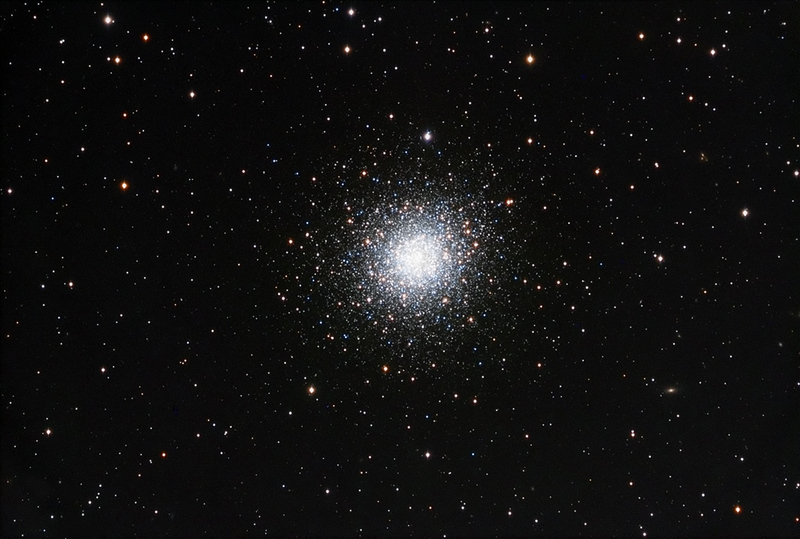 Spectacular in its own right, it is often overlooked as its nearby neighbor, M13, eclipses it in size and sheer volume of stars. M92 has an approximate diameter of about 110 light years and is approaching us at about 112 km/sec. Due to the phenomenon of precession, this cluster will be within 1° of the north celestial pole in about 14,000 year’s time. Imagine polar aligning your scope in the far future by using a globular cluster as a reference object instead of a star like today’s Polaris!